Please join us and our school community as we celebrate the Advent season with a short play and music. All are welcome! 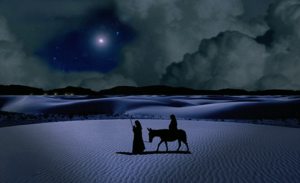 The Journey to Bethlehem, based on a story written by Andrea Reay will be presented on Thursday, December 13th at 7:00 pm in the St. Francis Church. Doors will open at 6:30 pm -- all are welcome!